Does CBD Oil Help Relieve Anxiety? What Is CBD? Is It Legal? You may have noticed the recent influx in CBD products on the market. There are CBD gummies, sodas, chocolates, teas, cocktails, lotions, dog treats, and more. One of the most common ways people take CBD is mixed in a carrier oil that they place under their tongue and then swallow. There are many benefits attributed to CBD oil—everything from curing insomnia and improving glaucoma, to reducing inflammation and lessening anxiety. At this point, there are very few studies that have resulted in conclusive findings on the therapeutic effects of CBD. So, what exactly is CBD oil? How (if at all) can it help alleviate anxiety? While there are many far-reaching claims about the positive effects of CBD oil—as well as lots of anecdotal reporting of happy customers—there have been few conclusive studies. Anxiety is a common, distressing and disruptive condition. It is defined by an extreme apprehension that is accompanied by unpleasant symptoms like feeling nervous, irritable, or on edge, as well as having a sense of impending doom or danger. Its symptoms include increased heart rate, rapid breathing, sweating or trembling, feeling weak or tired, difficulty concentrating, sleep disturbances, and gastrointestinal problems. While there are many pharmaceutical treatments for anxiety, there is still a great desire and need for discovering new and more natural remedies. For some, CBD has been one such treatment. In the 2015 study, “Cannabidiol as a Potential Treatment for Anxiety Disorders,” published in the journal Neurotherapeutics, the researchers sought to determine CBD's efficacy in treating anxiety-related disorders, including generalized anxiety disorder (GAD), panic disorder (PD), post-traumatic stress disorder (PTSD), social anxiety disorder (SAD), and obsessive-compulsive disorder (OCD). The study's authors referenced 49 primary preclinical, clinical, or epidemiological studies and they determined that acute use of CBD was effective in reducing anxiety. It did not cause an increase in anxiety and was well tolerated in humans with no negative impacts on mood, vital signs, or psychomotor skills (ones where movement and thinking are combined). The study's authors note that further research is needed on the physiological and therapeutic effects of CBD on anxiety sufferers as well as the effects of chronic use. The Agricultural Improvement Act of 2018 removed hemp from the Controlled Substances Act, which means that hemp and its derivatives (which includes CBD) are no longer illegal substances under federal law. 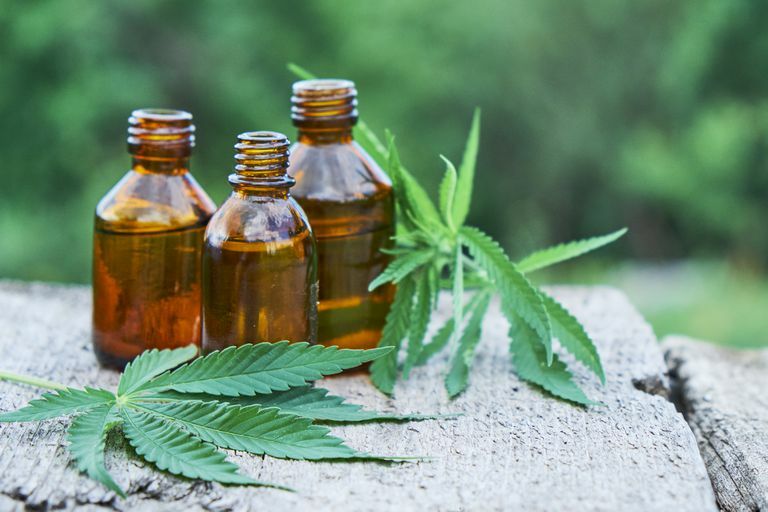 The Food and Drug Administration (FDA) has the authority to regulate CBD and other hemp products and they have said they will be particularly vigilant regarding therapeutic claims by CBD products that have not been approved by the FDA. In 2018, the FDA approved a drug called Epidiolex, which contains CBD, and has been shown to be an effective treatment of seizures that are caused by two rare and serious forms of epilepsy. Currently, that is the only FDA-approved therapeutic use of CBD. The CBD used in Epidiolex is pharmaceutical grade and the amount in each dose is closely controlled. The CBD products that are currently available on the market are not regulated in that way and so there have been reports that the amount of CBD in each product and/or dose may vary significantly. In rare instances, the retailer might not be forthcoming or honest about all of the ingredients in their products. According to many anecdotal reports, some people who suffer from anxiety have experienced an easing of their anxiety symptoms, or a pleasant calming effect after taking CBD oil. It may cause some drowsiness, so that is important to consider—in fact, many people use it to help improve their sleep. Side effects are rare and minimal but may include changes in appetite, changes in moods, diarrhea, dizziness, drowsiness, dry mouth, nausea, vomiting. There is also some worry that the use of CBD may lead to an increase in liver enzymes, which can be a marker of liver damage or inflammation. If you are considering trying CBD oil, talk with your doctor. Make sure they consider whether it might interact with any of the other medications you are taking, including blood thinners. CBD is not recommended for women who are pregnant or nursing. While there are many therapeutic and pharmaceutical treatment options to help ease anxiety and its symptoms, it's always worth looking into new options. For some, CBD oil has been a wonderful addition to their treatment toolkit. Cannabidiol for the Treatment of Anxiety Disorders: An 8-Week Pilot Study - Full Text View. Full Text View - ClinicalTrials.gov. Aubrey A. Anxiety Relief Without The High? New Studies On CBD, A Cannabis Extract. NPR. Published April 23, 2018. CBD Is Budding In Popularity. But What Is The Cannabis Extract, Exactly? WAMU. Published January 29, 2019. Friedman RA. Is CBD Helpful, or Just Hype? The New York Times. Published December 26, 2018.